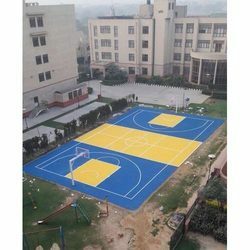 We have a leading organization in offering a supreme quality assortment of Basketball Court Flooring to our customers. The offered products are tested before final delivery. 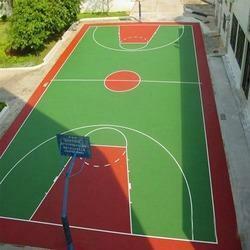 We are providing a large assortment of Basketball Court Flooring in various sizes. 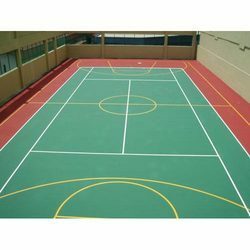 - Sports surfaces are seamless, cushioned, spike resistant surfaces with point elastic properties. - Play areas are DIN 18035 part 6 and EN 14877 approved for use as multipurpose field for most sports events.